Red-legged Honeycreeper shared with the eBird/Macaulay Library archive by Kacau Oliveira. Thank you, Kacau! Originally published in the Autumn 2018 issue of Living Bird magazine. Subscribe now. In the last decade, photography has become a huge part of bird watching. Thanks to a wave of technological advances, many digital cameras can now take photos that even pros could only dream of a generation ago. The happy result is that more and more bird watchers are returning home with photos they can’t wait to share. And that’s why November’s theme for our celebration of the Year of the Bird is “Share Your Shot.” Bird photography challenges are all over the place (see the BirdSpotter contest, which runs during the Project FeederWatch season, or National Geographic’s Your Shot online community), and there’s no better time to join one and share the photos you’ve been taking. We’ll go out on a limb and say the very most valuable place to share your images is in the Cornell Lab’s Macaulay Library archive. It’s a great way to record where you were and what else you were seeing when you took the photo—and your image will go into an ever-growing archive, now nearly 9 million strong, that scientists can use in research and development. For instance, the archive’s imagery helps us in projects such as MerlinVision, an artificial-intelligence project that powers the automated photo ID tool in our free Merlin Bird ID app. 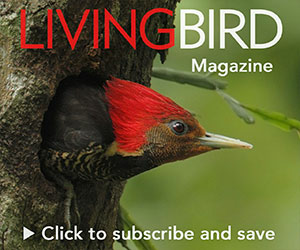 You’ll end up with an illustrated checklist and an easy way to catalog your best bird photos—and you’ll be helping scientists at the Cornell Lab and elsewhere in their work. Now you’re part of the eBird community, you can also rate images in the archive, creating a catalog of beautiful bird photos from around the world, and make customized bird quizzes for yourself featuring sounds and photos of birds from anyplace in the world.